as every follower of the mighty on-u sound records will know, the label has had its ups and downs over the years. prior to the current deal with warp/bleep there were several times that adrian sherwood tried to relaunch the label with a couple of new releases, and then all would go quiet for a few years before things started to happen again. it was during one of these relaunches that ghetto priest was able to release his debut solo album, vulture culture in 2003 via on-u sound records. the album matched the mans vocals against a collection of current at the time adrian sherwood productions ranging from full on dancehall chaos, fury injected industrial noise dub, and old school reggae. basically, to this day, vulture culture, is one of my all time favourite on-u sound releases. 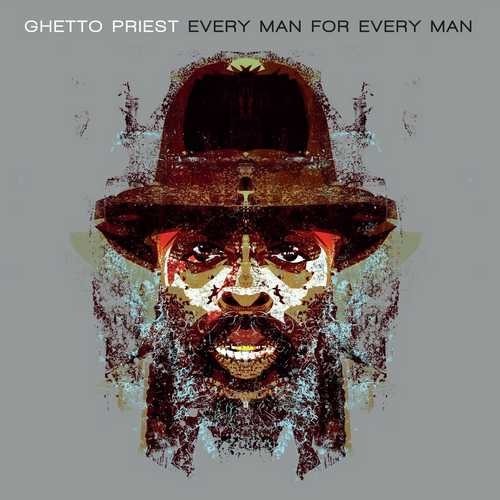 so, when i heard that there was to be a new solo album by ghetto priest i was keen to hear the results. and that’s not the only difference. whereas the debut was a glorious mish mash of styles, and featured a lot of the production sonic excesses that on-u sound is renowned for, this new album is a different beast altogether. quite simply, this is a gorgeous reggae album, with smooth laidback vibes throughout. no vocal cut ups, no deranged noise, no sonic chaos whatsoever. which for fans of the mans debut could come as a bit of a shock. however, once the shock wears off, and you accept the album on its own terms, then this is a really wonderful album. the backing band featuring legends such as styles scott, skip mcdonald, crucial tony, horseman, and carlton ‘bubblers’ ogilvie match the sweet harmony rich vocals of ghetto priest perfectly across this mix of covers and originals. unfortunately the vinyl edition of the album was rather limited and already sold out, but the digital version is still up for grabs, and grab it i would for when you need to be soothed on that post excess sunday morning by some righteous spiritually enhancing sounds. 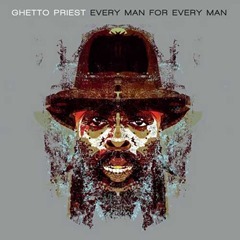 let’s just hope that we don’t have to wait another 14 years before the next ghetto priest album. update 13/10 : i have been informed that currently there are still a few vinyl copies available, relevant link added. This was written by mark e. Posted on Thursday, October 12, 2017, at 8:04 pm. Filed under albums. Bookmark the permalink. Follow comments here with the RSS feed. Both comments and trackbacks are currently closed.